Projected Capacitive Touchscreen Or Resistive Panels: Which Is Better? Home » Blog » Projected Capacitive Touchscreen Or Resistive Panels: Which Is Better? Control buttons for industrial applications are now passé. Even though some industries still utilise such devices, touchscreen technologies are becoming a universal tool for controlling them. Two of the most used are the resistive touch panels and the projected capacitive touchscreen (PCAP) devices. So, what’s the difference between these two touch-enabled computing systems? Which is better for industrial applications? Don’t stop scrolling down and let’s evaluate. Many of us are already using touchscreens in modern smartphones. But, don’t you know that the technology itself has been around for several years? For decades, touchscreen technology is widely used in industrial settings. To name a few, resistive touch panel devices and PCAPs are the most popular. These two have been an ideal tool for navigation systems, Automatic Teller Machines (ATMs), kiosks, Point-of-Sale terminal system, and vending machines. If you have plans of investing one, you must understand the aesthetics of this technology first. When it comes to industrial applications, PCAP devices are well-recommended by computing experts. PCAPs or known as capacitive touchscreens have no membrane. Meaning, touch sensitive electrodes are still at the corners of the glass, functioning despite surface scratches. Capacitive touchscreens are also resistant to liquid spillovers, dust, moist, dirt, and other harmful debris. Some PCAPs are resilient to shock, vibration, and humidity whilst few of it are suitable for hygienic conditions. Hence, it can withstand all forms of harsh environments. Today, many manufacturers are supplying PCAP computing systems in the manufacturing industry, food processing, healthcare, military, and advertising as well as oil and gas industry. Touch-enabled devices with projected capacitance generally received favourable reviews. But, let’s take a look at some strong reviews from resistive touch panels saying that it is more accurate. Resistive touchscreens are the older technology. But, this does mean it’s an outdated technology. It is made of thin, flexible membrane separated from the glass screen. The surface is coated with a transparent metallic material where electrical circuits close when touched. Unlike PCAPs, resistive touchscreens have moving parts which offer a high level of sensitivity. An air gap between the two layers of transparent material makes it susceptible to dust, dirt, and liquids. 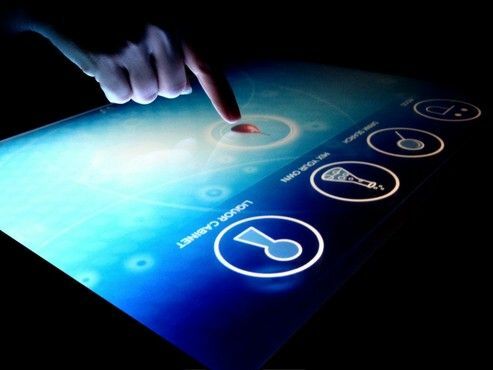 This kind of touchscreen technology is mostly used in smartphones. It is stylus-friendly but not ideal for heavy industrial applications. Some industries are still using such touch-enabled system these days because it is cheaper than PCAPs. It’s worth taking a quick refresher on how both touchscreen technologies work in the real world. Touchscreens are incredibly flexible. Of course, this is based on the type of technology and applications you actually use. Those technological advances have its own efficiencies and capabilities. That is why you need to determine the nature of your business for optimum use. But, if you want more durable and resistant equipment, it would be ideal to consider projected capacitive touchscreen technologies. So, need to say more? Find a trusted PCAP provider now.